Since then, I've received two more e-mails with the subject line "we keep e-mailing" and "we're. SO. desperate." I take it as a reminder to delete without reading all emails from the DNCC DCCC & DSCC--especially the ones which say they're soliciting my inputon policy matters. I've sadly started to do the same. 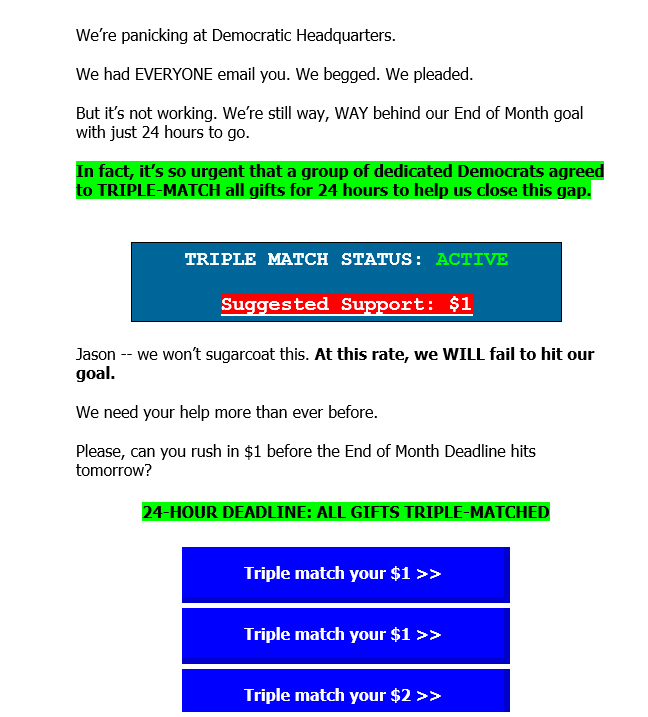 I love the Dems, but their digital comms strategy isn't great.